RBR Active is made up of some of the leading minds within the medical profession and a respected team of product designers, working together to raise awareness of deadly blood clots and e-thrombosis. RBR Active, already equipped with a powerful concept, came to Foundry Digital with the important job creating a strong website and logo to match. Foundry Digital saw that the nature of their business needed to present a professional platform through which they would be able to convey the importance of their message, information and aims. As well as a professional logo that was also reflective of their business, and that was able to extend to offline channels, such as their product. 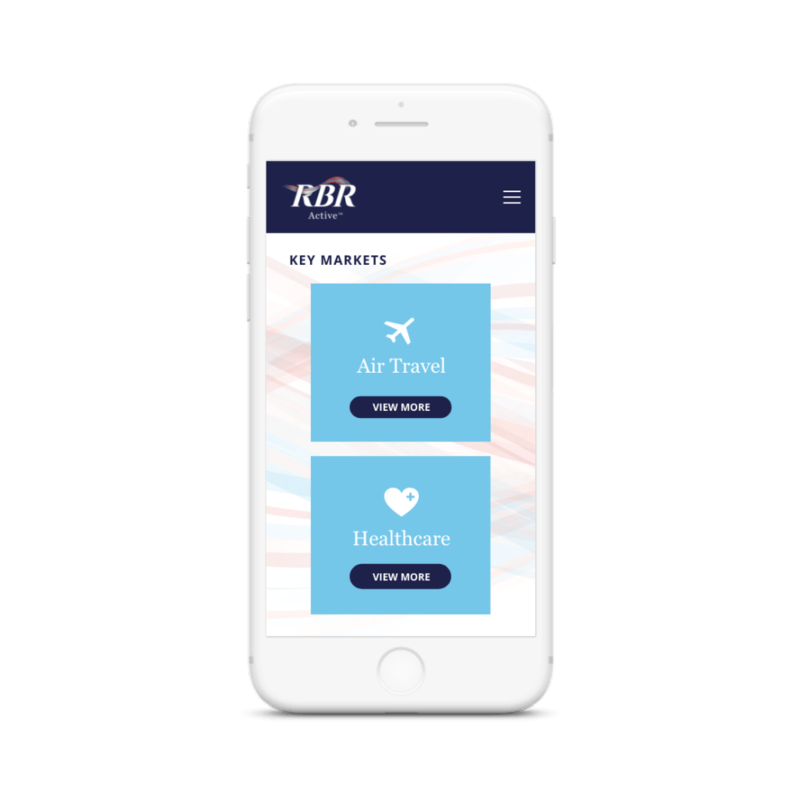 Our in-house designers and developers collaborated in order to find the best ways in which to showcase RBR Active through their platform. We knew that it was essential that RBR active showcased factual clinical information in a digestible way. This was achieved by constructing a website architecture and page layout that housed all of the content provided without it being too overwhelming. All of this content, as well as their branded content and their own information, were structured into secondary menus, making it accessible for all of their users. Provided with RBR Active’s photography, we used it to break up the information provided, ensuring that the design was still visually pleasing while also being informative. 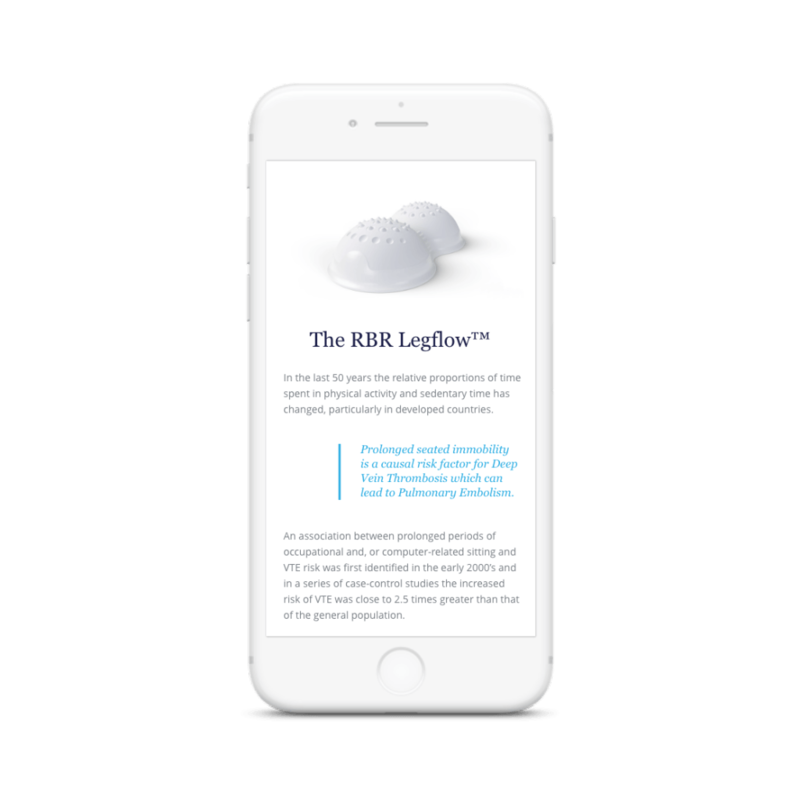 For the logo, it was important for RBR Active to maintain their professional standards while adding a visual touch of the medical field. We chose to clearly have the logo as “RBR” with lines of red and blue flowing through it, which is representative of the blood flow of the body. This image has also been incorporated into the website, further extending the branding and making the website more visually enticing. RBR Active’s new website showcases all of their services, ranging from medical information, to relevant news, to showcasing their own products. The use of a secondary menu and anchor points on the site has allowed RBR Active’s user to easily navigate through the website to their relevant sections, ensuring a friendly and useful user experience. It was important for the logo to be versatile, as not only has it been used online, but also on the physical product itself as well as offline marketing channels. We made sure that the logo reflected well on RBR Active on all of their channels. This was in order to aid in the pitching of their product to various professional bodies and maintain a professional standards as well as higher brand awareness. With us implementing all of the photography provided by RBR Active, it made sure that the user experience became more friendly. This, in turn, will help RBR Active’s website become more engaging to their users. The use of a secondary menu and anchor points on the site has ensured a friendly and useful user experience.